Ah.. a bunch of flowers, albeit some wild! If you can't beat them join them! But, seriously, wildflowers are charming and nothing like having your own 'natural habitat'. Quite the rage infact! second picture looks like lily of the valley. I love wildflowers. there are various groups that arrange wildflower hikes which I have not managed to go even once. That second one, does it have a lovely scent? 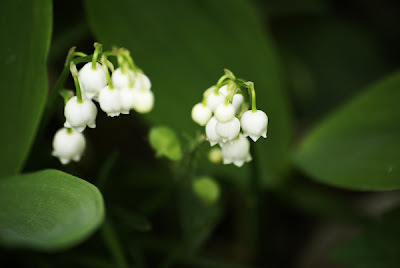 It looks (as previously commented) suspiciously like Lily of the Valley, which is also a useful herb in heart treatment (and one I had to keep my son from eating, as it has potent phytochemicals and can be poisonous). Mints, thanks a ton for identifying that wildflower! And scaring me, too! It's poisonous! 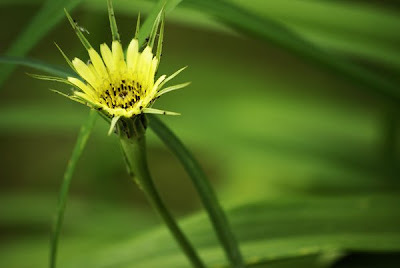 Go for a wildflower hike - it's a fabulous experience. We like to do Ouzel Falls in RMNP for wildflowers early in the season and before the throngs gets there. We haven't done any guided walks but I carry my camera and my wildflower guide book with me. 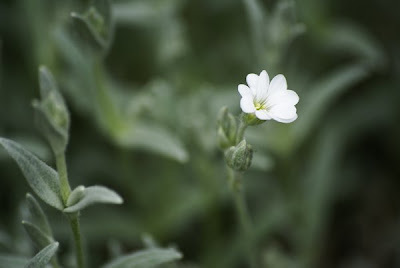 It's fun and so exhilirating when you identify a strange looking flower!Preeti, hey thanks! Have a great weekend!Rahin, I am still learning LOLCat. And you, too, should go on a wildflower hike!Nirmala, aren't they so cute? But looks can be deceiving as they are poisonous!Fergie, yup! They have a lovely fragrance! I think Mints nailed it when she said Lily of the Valley. Thanks for confirming it! Luckily for me, my daughter doesn't eat flowers! Phew!